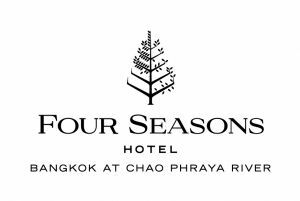 The Four Seasons Hotel and Private Residences Bangkok at Chao Phraya River is looking for a Fire and Life Manager. Candidates with passion for excellence, expertise in hospitality operations and proven leadership experience are invited to apply for a career with Four Seasons. As a member of Security Division, the Fire and Life Manager works across disciplines to deliver an exceptional experience. Good knowledge of local law is required. Candidate must hold the legal right to work in Thailand as well as being able to effectively communicate both speaking and writing in Thai and English. - Responsible the fire and life safety of the Hotel and Residencies including maintenance of of all equipment and effective performance of all life safety system. Reports to the Director of Security. - Responsible for training of all hotel / Resident staff on fire and life safety to maintain consistency. - Responsible for conducting Fire Drills along with Director of Security and reporting any findings and how to improve through training to maintain consistency. - Coordinate with local fire authorized department of all activities including drills.